SAN ANTONIO, May 11, 2017 — The UTSA Small Business Development Center (UTSA SBDC) Satellite Office in New Braunfels is reopening its doors for business after undergoing a major renovation to better serve the community. The Satellite Office operated out of a temporary location for two months. For six years, the UTSA SBDC has proven to be a valuable asset by providing workshops and professional, confidential business advising services to the business community. The UTSA SBDC strengthens the Comal and Guadalupe county economies by offering local entrepreneurs with education, mentorship, business training and networking services. Since 2012, the UTSA SBDC has provided more than 10,600 hours of advising to 1,855 clients, resulting in 86 business starts, 87 business expansions, $29 million in capital infusion, 946 jobs created and 732 jobs retained. “We are excited to announce that the satellite office had its best year ever in 2016 by meeting all of our performance goals. We look forward to a great 2017 serving our clients and appreciate the tremendous support provided by our stakeholders,” said Larry New, UTSA SBDC project manager. 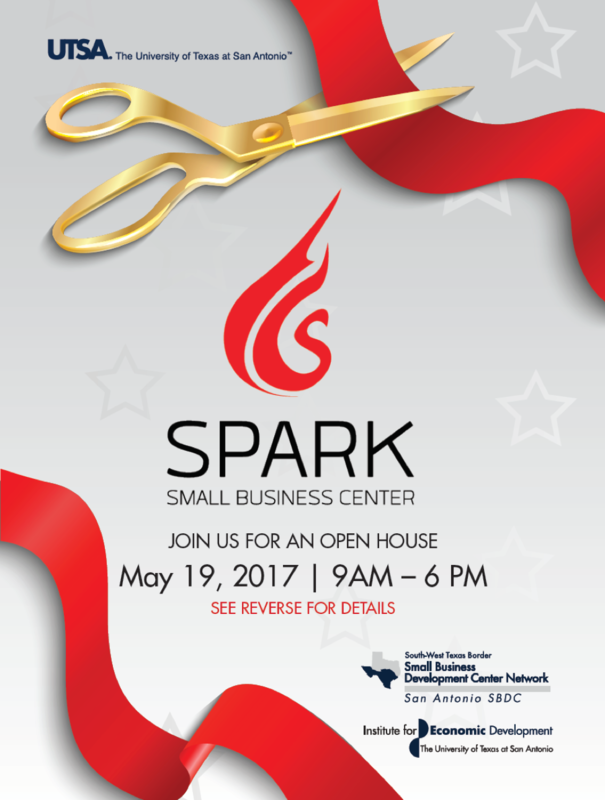 The UTSA SBDC Satellite Office is funded by the Spark Small Business Center through the support of the City of New Braunfels and the City of Seguin. The UTSA SBDC and Spark Small Business Center Board of Directors thank its many partners including the New Braunfels Industrial Development Corporation, the Seguin Economic Development Corporation, the New Braunfels Chamber of Commerce, the Seguin Chamber of Commerce, and numerous local lenders and members of the business community. Times: 11:30 a.m. 9:00 a.m. – 6:00 p.m.